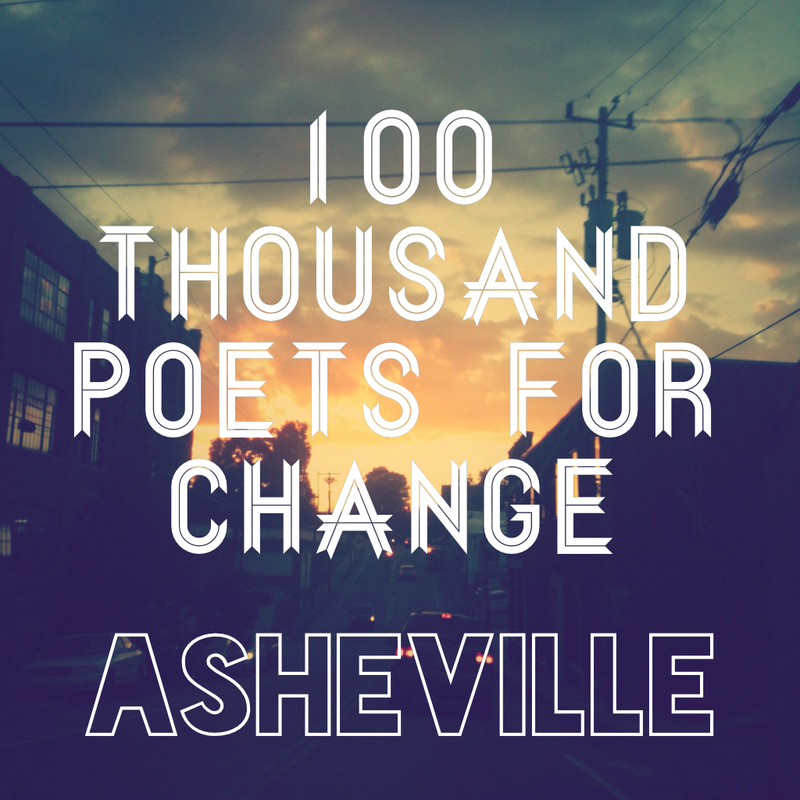 Two years ago Barbara Gravelle and I helped organize a 100 Thousand Poets for Change event at The Downtown Market Asheville. The evening was memorable on so many levels. 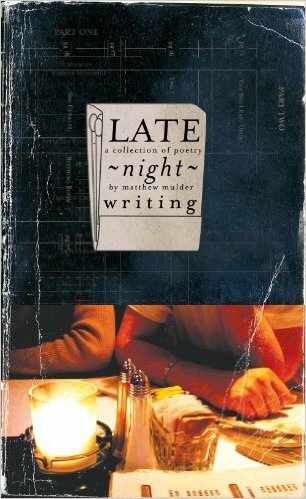 Reading poetry with long-time friends and poets, reuniting with other poets and meeting new poets were highlights of that night. It also marked the beginning of a long farewell to my adopted hometown. A lot has happened in two years. Relocation. New employment. New material written. New material published. And so on. This year I will join Nick Demske and other Racine, Wisconsin poets at the May’d Ent Buidling for the 2015 100 Thousand Poets for Change global event. The Wisconsin poets and writers in Racine and Milwaukee (and other places in between) are talented and engaged. Saturday night’s 100 Thousand Poets for Change at the May’d Ent Building (433 Main Street, Racine, WI) should be an exciting event of poetry and more. Doors open 5:30 p.m., but get there early and hangout with new friends. The summer is at an end. Or at least the American tradition of the start of school and Labor Day signify the end of summer. And so, my work at the oak grove office has also concluded. From the shade of oak trees, I hand-lettered and hand-painted signs for a Renaissance Faire. An anachronistic skill for these highly digital, automated modern times. When tasks around the grounds did not occupy his attention, he would take a pencil and sketch out a drawing of a crane or boar on a wooden shield. All the drawings were based on authentic heraldry. My job was to accurately paint the shields. All the shields were painted with a combination of six colors. Attention to detail and quickness of brush were essential to the painting of the shields and signs. Some mornings I would draw a double-headed rooster, unicorn or swan. Before noon, paint filled in the background. Red for the swan and unicorn. White for the double-headed rooster and the crow. Water was used to thin the acrylic paint for some techniques like shadows and highlights. He asked for my brush. Loaded it with some black. Mixed in some white. A little blue. Touched up a few details on the belly of the boar. I did not mind. Always yield to the master. Some of his crew have told me that other artists did not last past a day with him. Maybe they were untrainable. He took a seat, smiled, slowly ran is hand over his nearly shaved head. I explained a couple details about the boar and the other shields I had worked on that day. The fencing ring is violent, he conceded. But it is necessary, he added. America does not have a rite of passage for boys becoming men or girls becoming women. The ring provides a balance to the scales in some manner. Brothers settle festering scores with each other. Young men humiliated for their arrogance. Families learn about justice when they enter the ring of combat. Daughters win matches and glow with achievement. He told me all manner of stories about the ring. He smiled his hallmark smile. After I returned to the task of painting shields, meditation on his words continued. In that oak grove, there was no artificial broadcast of mechanically distributed musical entertainment. The rhythm of framers hammering out their progress on a building competed with bird song. Every so often a circular saw cuts through the hot summer afternoon. Boys tend to gauge range first before striking, he told me earlier in the summer. Girls go straight for the prize. If you want to win, he told me. Strike first and fast. And don’t stop until someone pulls you off the target. My brush paused at that thought. I gauged the next brush stroke. Cursed myself for lack of discipline, and applied the next stroke. And the one after that. On target and fast. Do not stop until someone pulls you away. Until summer fades to autumn. Until the shields and signs are placed.